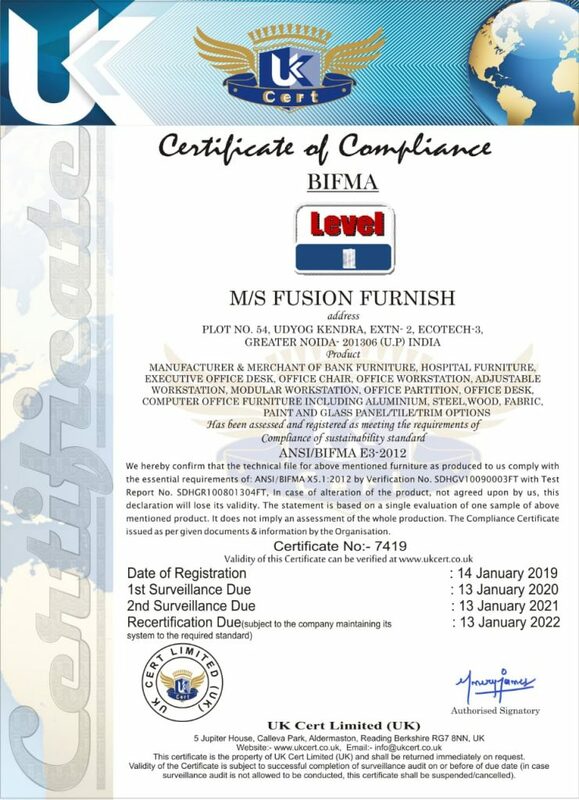 Fusion Furnish, based out of Greater Noida in Uttar Pradesh, is a modular office furniture manufacturer producing and supplying well-furnished, upscale furniture for numerous commercial hubs. To ensure its durability, we use not only state-of-the-art manufacturing technology, tools and machinery, but also the highest standard of quality materials. The manufacturing process was started in 2012 with an objective to provide efficient results and to contribute a bit to the growing commercial sector of the country. The professionals at Fusion Furnish are skilled enough to understand your furniture requirements and leave no stone unturned in delivering the desired results at cost effective solutions. At the moment, we take pride in partnering with some of the biggest organizations in the public and private industry. Over the last few years, the office furniture industry has seen tremendous upsurge in the market share. In 2014, it has raked up for a 20.45% market share of the India’s furniture industry, and the number is rising up swiftly. Presently, the GDP growth of India has gone up significantly, achieving an incredible feat of THIRD number in the world. In addition, the intervention of start-ups, e-commerce and make in India initiative has led to the growth of the commercial sector. This is a huge plus point for our industry, especially. 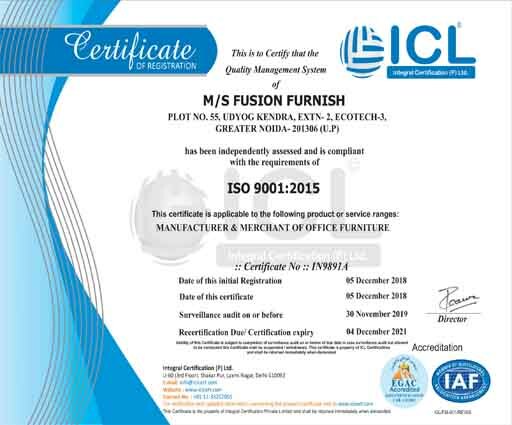 Fusion Furnish strives to enrich your work experience by delivering office furniture that would further provide comfort and ease, thus enhancing productivity at your workplace at an affordable price segment. Because of client’s vision and proficiency, Fusion Furnish is excited to accept new challenges and produce best results. The experts work hand-in-hand with the clients to plan, design, and create an ideal workplace as desired. The dedicated research and development team focuses on the unique and continuous implementation of designing. The aim of Fusion Furnish is to produce efficient environment that ultimately helps enhance the productivity of the organization. Fusion Furnish caters to a wide range of industries such as schools, colleges, offices, restaurants, etc. The new innovative projects are completed by the highly skilled team, and the clients get top quality work within the mentioned time frame. We, at Fusion Furnish, are committed to provide quality work and the best post sales services to the clients. 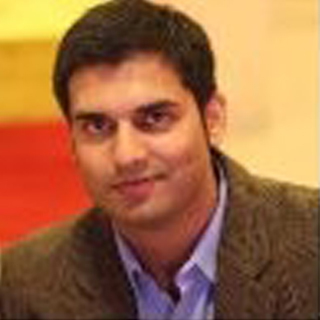 Over 11 years of rich experience in B2B sales and marketing. He believes that new business is directly proportional to the satisfaction of existing customers. Leaves no stone unturned until he gets what is required of it. We work hand in hand with you in the planning, architectural designing and creating the best work space for you. At fusion furnish, we “take to create”. We take your suggestion and create spaces that functions to improve the very nature of how people work. With a dedicated R&D team in place focusing on the ergonomics through unique and continuous implementation in designing to provide comfortable office furniture and enhance decor. To provide a comfortable work place by continuous innovation in design techniques. To work inline with the operational goals of developing India and striving to provide a work-life platform for optimum productivity. We intend to provide our customers with the best office furnishing experience from beginning to end, we achieve this by putting ourselves in customer’s place and viewing their needs as we would assess ours.